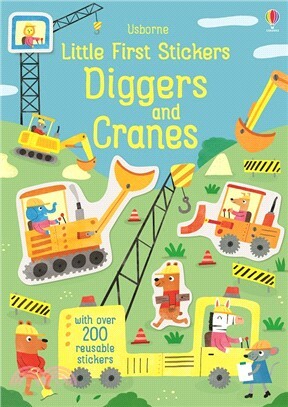 The perfect book for any child fascinated by building sites and big machines. Children will enjoy bringing scenes to life and seeing their favourite vehicles in action with characterful animals busy at work driving the diggers and cranes. Hundreds of stickers are provided to fill scenes such as “Carrying cargo”, “In a quarry”, and “Demolition”.